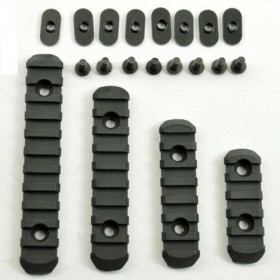 Advanced Polymer Rail Sections Set (MOE compatible) » Protective Solutions, Inc. The Advanced Polymer Rail Sections Set for Magpul MOE Hand Guards is designed for fast and versatile accessory mounting on Magpul MOE handguards. Available in Black.